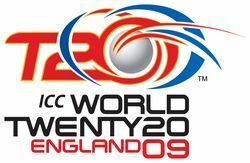 ICC Twenty20 World Cup 2009 is scheduled to take place in England. The final of 2009 ICC T20 World Cup will have Lord's (London) as its venue. The second tournament of ICC Twenty20 World, 2009 World Cup has been scheduled for the month of June. It will take place in England and have 12 teams, comprising of nine Test-playing nations and three qualifiers. Initially, just like the inaugural ICC World Twenty20 tournament, the 12 teams included only two qualifiers. However, Zimbabwe's opting out of the tournament, of own volition, led to the creation of a vacant space, which was then filled by the qualifier Scotland. Though the venue of Twenty20 World Cup 2009 was England right from the very start, in early January 2008, there was a rumor that the venue could be changed. The reason for this was British government's banning of Zimbabwe from the 2009 tour. However, rumor never turned into reality and England continues to be the venue of ICC T20 World Cup 2009. The matches will take place in Lord's (London), Kennington Oval (London) and Trent Bridge (Nottingham). As per the schedule of 2009 ICC Twenty20 World Cup, the opening match as well as the final will be played at Lord's (London). One of the semi-finals will take place at Kennington Oval (London), while the other will have Trent Bridge (Nottingham) as its venue. Trent Bridge beat Old Trafford Cricket Ground as the third venue for ICC T20 World Cup 2009, mainly because of its closer proximity to the two London venues - Lord's and Kennington.